Finally, the new generation LPL LED treatment system with power LEDs has arrived in Adelaide. More optical power and better energy efficiency means more effective LED treatments and better results, at an affordable price. Why not enjoy the effortless path to stunning skin with natural, relaxing treatments that are painless, safe for all skin types and ages, with no down time? Unlike laser and IPL treatments that cause injury to the skin to induce a healing response, LED treatments improve the skin by stimulating the skin cell metabolism encouraging the skin to produce growth factors, without causing injury therefore requiring no recovery time after treatments. The LPL system can be used as a standalone or as a complementary therapy with other treatments to improve results, healing time and reduce discomfort. The LPL LED treatment system will promote healing after most types of surgery, reducing downtime, swelling, bruising and scar formation. Different LED light colours and wavelengths are used to target a variety of skin concerns from Acne to forming new collagen in ageing skin. 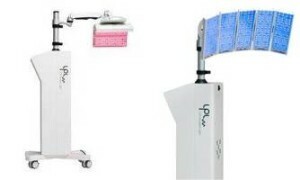 Our LPL LED treatment system offers three light colours which can be customised to the particular treatment, using all three colours simultaneously or individually depending on the condition being treated. Treatment time can vary from as little as 10 minutes up to 30 minutes depending on the purpose of the treatment and the severity of the condition being treated. Cosmetic Laser Solutions SA is one of the few clinics in Adelaide that offer three LED colours and wavelengths being Blue, Red and Near Infrared. Most clinics only offer one or two LED colours. With our three different LED colours we are able to treat a wider range of skin conditions. Treatment of mild to moderate acne reduces the need for antibiotics and topical creams with their associated side effects. This treatment regime helps to reduce the bacteria count and inflammation associated with acne and therefore reduces the number of acne lesions when used in conjunction with our acne skin care range. Treatments are recommended twice a week for 4 weeks, followed by once a week for 8 weeks. Wound healing, scars and burns would require treatment twice a week for 4 weeks. Conditions such as Rosacea may require maintenance treatment after the initial treatment regime. Rejuvenation treatments can be done from 1 to 2 weeks apart and the more treatments that are performed, the better the results. Other treatments are customised to your needs and depend on the severity of the condition being treated.